Tony (“indytony”) Roberts was a pastor for almost 20 years, inspiring people by the sacred Word. Now he’s looking to inspire writers and those who want to write better. 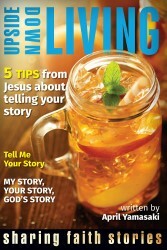 He writes about writing well on life and death, and the faith that impacts both. Tony is currently blogging through Writing Well:The Essential Guide by Mark Tredinnick, and you can check this out at his site, A Way With Words. Thank you, Tony, for taking part in this Sacred Pauses interview series. 1. How have you experienced sacred pause? I find the act of writing to be a spiritual exercise that has provided me with many sacred pauses. A recent example came in response to a writing prompt from a developing collaborative blog called Today’s Author. The blog gave the single sentence prompt “Steven Arvide’s day was about to get worse.” I copied this into a post, and nothing came to me at first. I paused, and essentially engaged in a sort of “listening prayer.” Then I started typing what came to mind, and fortunately I’m able to type even faster than I think! From this writing prompt, I conceived a scene I called “The Pursuit of Happiness“ about an older man who is content to settle for life-as-it-is, and his wife who is fed up and wants to pursue worldly happiness. She leaves him for a lottery winner. I’ve since written another scene, sketched over 25 more, and developed a story line I believe will lead to at least a novella, if not a full-blown novel. This one sacred pause, where I prayed and listened, staring blankly at the sentence on the screen, has already produced countless hours of creative reflection and enjoyment. I hope and pray it will give birth to a larger body of work that will bring joy and meaning to many others. Now that I am writing full-time, I am daily learning how to connect with people from all over the world who speak various languages and have distinct belief systems. One of my readers commented recently that he is a believer in an “ancient alien creation” theory. I just chatted with a high school student from India who has a passion for the English language and would like advice on his educational path. 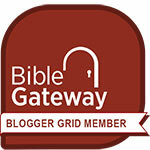 I’ve noticed in my WordPress stats, I seem to be gaining a following in Belgium. Do they even speak English in Belgium? I’m also learning a great deal each day about the technological aspects of “spreading the word.” When I was accepted into an M.F.A. program in Creative Writing 30 years ago, we were told “About 1% of you will be able to make a living publishing creative writing worth reading. The rest of you will write commercials.” I gave up and went to work in a plastics factory. Now, there are so many avenues for writers to be read. 3. What advice/word of encouragement would you give to others? Flannery O’Connor once wrote “Anybody who has survived his childhood has enough information about life to last him the rest of his days.” I take this to mean that everyone has a basis for beginning to write. Obviously, we still need to do research. We need to pay attention. We need to describe well what we learn from day-to-day. Yet, each of us has a story to tell and there is great joy (for the writer and the reader) in telling the story well. My personal word of encouragement, particularly for writers in this “abbreviated age” of technological jargon is not to settle for short-cuts. Don’t look for a quick route to success in publishing something that is less than your best. Write, re-write, and re-write some more. Learn to find as much satisfaction in self-editing as you do in putting words down the first time. 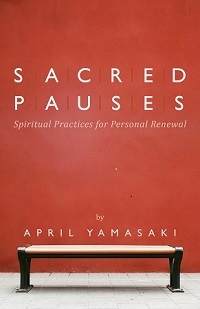 Your turn: Is sacred pause part of your process in writing or other creative work? Do you have a sacred pause to share? If you’d like to be part of this interview series, please contact me. 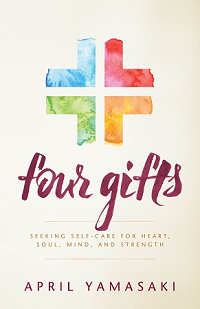 Previous postSacred Pauses Book Launch: February 4! Thank you for conducting this interview and publishing it on your site. Congratulations again on your work and I pray we will have more opportunities to work,together in the future. 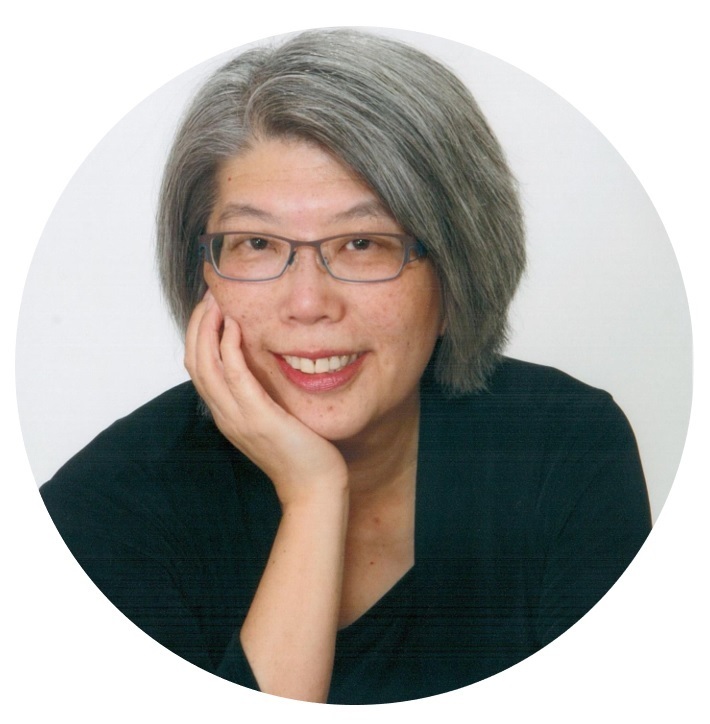 I am grateful to April Yamasaki from “spiritual practice,faith, and life” for interviewing me and publishing it on her site. You’re very welcome, and thanks for participating–looks like your interview is getting a good response!